We are proud to announce a brand new opportunity for B2B marketers. Now you can begin to expand your business internationally using the new ProMarketing Leads International database that that consists of over 20 million contacts. With the advancement of communication technology today the world is becoming a smaller place. As a business, big or small, it is now easier than ever to begin expanding outside of your national borders and peruse international opportunities that you may have previously thought to be impossible. With ProMarketing’s giant international opt-in email database, finding these new opportunities is now a manageable task that can lead to new contacts and great rewards. “ProMarketing Leads provides our business marketing list clients with a comprehensive addressable marketing business email list solution making it possible to hyper-target business decision makers across the multiple marketing channels using an all in one business email list, business mailing lists and business telemarketing lists” says Brad Allen. With these lists you can begin to narrow your potential clients even further by customizing and filtering your lists by title, industry, geography, and size of the business. This allows you to focus your marketing campaign and potentially save you valuable time and money. It is no secret that a number of businesses today are continually reaching new international customers. Not only can expanding internationally lead to new opportunities in new markets but it also enables you to diversify you client list, protecting you in times of economic downturn both at home and abroad. Now with ProMarketing’s lead lists and email marketing lists, the process of finding international clients becomes much easier. How can international business list strategies boost your marketing ROI? Article on the use of international mailing list strategies and uses. Is B2B Telemarketing Still Relevant? The phone is still a powerful and highly effective lead generation tool. With the sophistication of Business Marketing Lists for B2B Direct Mail Campaigns, B2B Email Lists or B2B Telemarketing Leads the ability to target very niche B2B audiences is phenomenal. Throughout the B2B direct marketing industry B2B telemarketing is alive and well as a major part of the marketing mix. As most marketing analysts will attest when B2B telemarketing is added to a B2B direct mail campaign conversions are maximized. Highly targeted B2B Telemarketing Leads can produce fantastic ROI results. Typically, the more targeted the campaign the grater the ROI. With all the marketing buzz on varies forms of direct marketing and social media it often gets lost how effective it is to engage your target audience in the most personal and interactive marketing medium – a phone conversation. With 2010 finally here, it is time to get back down to business. When you begin organizing your finances and business strategy for the new year, you may want to consider utilizing direct mail.Direct mail is a great way to beef up your marketing strategy and establish a close, personal connection with each of your clients and potential new customers. Marketing and business websites such as Marketing Week and Business Strata are encouraging business owners to use direct mailing campaigns in addition to their other marketing strategies, such as print advertising or website search engine optimization. If you are thinking of incorporatingconsumer direct mail into your marketing campaign for the new year, give ProMarketing Leads a call today. We can help you design a targeted consumer direct mailing campaign that will help you effectively reach those who are most likely purchase your products or services. When you call ProMarketing Leads, you are guaranteed personalized service from one our seasoned professionals. We can work within your budget to create a direct mail campaign that will suit your business needs and conform to your brand identity. We can focus your direct mail campaign on demographics that will help you secure new clients. You will be able to gear your marketing campaign to specific people with a medical profession direct mail list, new homeowner direct mail list, or an international direct mail list. ProMarketing Leads has over 40,000 demographics you can use to specifically reach your target audience. Make 2010 the year that you revamp your marketing strategy. Your clients will notice the extra touch and new customers will surface as you make the most of the economy beginning to turn around. Give ProMarketing Leads a call today at 866-397-2772 to begin discussing your new direct mail campaign plans. It’s that time of year again—holiday mailing list time! If your company traditionally sends out holiday mailing list cards to your clients, potential clients, or people in your area, ProMarketing Leads can help. We can provide you with updated address lists for targeted demographics in your area in order to reach potential clients and provide them with a bit of holiday cheer (and holiday marketing!) through specially targeted holiday direct mail. No matter what your business venture, ProMarketing Leads can help you target the audience who is most likely to turn to your business for a certain product or service. We have consumer direct mail lists that can target specific people based on their annual spending, monthly spending, tax bracket, gender, marital status, political affiliation, age, education, hobbies, charitable giving, religious affiliation, neighborhood, home ownership, investing activities, ethnicity, occupation, general interests, and spoken languages. Holiday direct mail is a great way to keep in touch with your current clients and to make new contacts in your area. Do you run a non-profit? We can provide you with a consumer direct mail list that targets people who regularly donate to charity. Do you own a restaurant? We can provide you with a consumer direct mail list that targets people who frequent restaurants in your area or who often spend a certain amount on entertainment. Do you offer English classes? We can provide you with a consumer direct mail list that targets non-English speakers in your area. Do you offer house-painting services? We can provide you with a consumer direct mail list that targets homeowners in your area but skips those who rent. If you would like ProMarketing Leads to help you target a holiday mailing list for your company, give us a call today. There is still time to get your holiday mailing list cards out by Christmas. Call us at 866-397-2772. Holiday time is here again. Whether you celebrate Christmas, Hanukkah, Kwanza, the first snowfall, or nothing at all, there is no denying that the world is different during this time of year. People are more generous with their time and money, making it the perfect time to being a brand new direct mailing campaign, specially geared toward those who want to do good will for the holidays. If you run a charitable organization, such as a homeless shelter, church group, or soup kitchen, the Christmas holiday season may be the perfect time to use your direct mailing campaign to earn both time and money donations. Send your direct mail to people in your community, asking for time donations for Thanksgiving and Christmas at a soup kitchen, monetary donations for a homeless shelter, and even for donated presents for underprivileged children in your homeless shelter, battered women’s shelter, or church group. No child should be left out of the holiday seasons due to lack of funds. Ask people around your community to donate winter clothes, toys, and books and to wrap them festively. Then on Christmas, you will be able to share the holiday spirit with children in need. ProMarketing Leads can help you design a targeted direct mailing list that will help to generate holiday giving. Remember, a holiday direct mailings campaign is different from your regular direct mailing campaign. Use festive paper and colored envelopes. Opt for metallic swirly writing and limited-edition seasonal stamps. For a religious touch, add a nativity season background. For a non-religious Christmas touch, add a picture of Santa or a Christmas tree. For a touch of Hanukkah, add a menorah and opt for lots of blues and yellows. To simply play up the season, look for paper and stamps that have snowflakes and snowmen. These are simple, silly touches, but will help get people in the giving holiday spirit. Once you have your design, give ProMarketing Leads a call. We will work closely with you to design your targeted direct mailing campaign. We can get addresses for those around the community who regularly donate to charities, or who have volunteered at holiday events in the past. We can even reach out to parish or synagogue communities. Make this holiday season an extra-special one…and let ProMarketing Leads help. When people think of direct mail, they usually think of advertisements, flyers, and take-out menus. 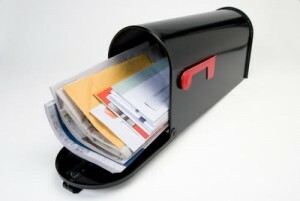 However, direct mail can accomplish many different things, including soliciting donations or support for a good cause. If you work for a non-profit or charitable organization, you may want to consider taking advantage of a direct mailing campaign. Here at ProMarketing Leads, we help numerous clients develop a targeted direct mailing list to help promote their products or services. However, we also have targeted direct mail lists that are designed specifically for those who are seeking charitable donations. Our lists include people of a certain income bracket, those who belong to fundraising or charitable groups, and those who have previously donated time or money to charities. We also offer lists of people who have shown interest in certain charitable causes, such as education, animal protection, hungry and needy families, and home-building. If your non-profit organization would like to target a specific group of homes to ask for charitable donations, ProMarketing Leads can help. We can help you design a personalized direct mailing list specifically targeted to those who are most likely to be interested in your organization and most interested in donating their money or their time. Give us a call today toll-free at 866-397-2772 to discuss your non-profit organization and the type of work you do. In no time at all we can put together a targeted list that is sure to generate time and money donations and contributions. At ProMarketing Leads we are always happy and eager to work with charitable companies, and will be happy to work with your team and your budget. We look forward to your call. The United States and Cuba may be restarting their direct mail program for the first time in over 45 years. Currently, the two countries use a third country as a middle-man; mail leaves the US, then goes to the third country before being transferred to its final destination in Cuba. The process is the same for mail being transported from Cuba to the US. Mail usually reaches its final destination, but not as accurately or as quickly as it would with a direct mail process. Direct mail between the US and Cuba ended in August of 1963 when the US extended its trade embargo with Cuba. In an effort to sever ties with the communist-run nation, the US forbade the transport of items to and from Cuba, including all imports, exports, and mail. While the infamous Cuban cigars may be the most well-known of the illegal items, lack of direct mail has been a difficult thing for many people in both countries to endure, especially those with relatives and loved ones in the other country. This is not the first time that the United States has suggested that the two countries resume their direct mailing services. Offers to restart direct mail between the US and Cuba went out in 1999, 2000, 2002, and 2008. Cuba finally accepted in May of 2009, and talks to rehash and finalize the plan are still in progress. Washington has made it clear that talks between the two countries are limited to discussions of direct mail and direct mail related subjects, and will not include talks of other embargos, including those on imports and exports. Should the two countries decide to reinstate their direct mail policies, ProMarketing Leads will expand all of its services to include business direct mailing lists and consumer direct mailing lists for Cuba and Cuban culturally-related topics. In order to help make the most of your direct mailing campaign, ProMarketing Leads is now offering lists of cultural and language selects for consumer mailing lists. These lists break down households into categories according to their preferred languages and cultural interests. Our lists have expanded to include demographics for over 80 languages and over 150 different cultural criteria. If you are looking to create a mailing list for your company to send to potential or current consumers, it is important to know who you are targeting. With our language selects, you will be able to send consumers direct mail in their preferred language. You can even tailor your campaign to reach those who are most likely to purchase your product or service, such as targeting Jewish households to sell kosher foods or non-English speaking households to offer English lessons. These targeted lists are crucial for anyone offering a service or product that is specifically geared toward those of a certain culture, religion, or who speak a certain language. Our language-targeted lists include lists of non-English speaking households as well as multi-lingual households. We have lists of households that speak any language, ranging from English and Spanish to Tagalog and Kirghiz. Our cultural lists provide household information on practiced religions, ethnicities, and countries of origin. If you offer a product or service and would like to target households that speak a certain language or adhere to a certain cultural practice, ProMarketing Leads can provide you with all the information you need. Your direct mail campaign will be effective and efficient, specifically targeting those who are mostly likely to respond to your advertisements. In today’s day and age, why use direct mail? This is the age of technology, when video chats have taken the place of face-to-face conversation, e-mail has replaced snail mail, YouTube and Hulu have replaced television, iTunes has replaced the radio, and text messages have taken the place of pagers. With all of this being a given, why do companies still opt to use targeted direct mailing campaigns to spread the word of their companies and deliver coupons? The answer: despite the technology age, direct mail is still incredibly effective. Before the days of email and text messaging, people received a lot of mail. Imagine if every email in your inbox represented an actual piece of physical mail delivered to your home! In those days it was common to just throw out the “junk” mail, which came in swarms. However, with a good portion of this mail reduced due to the appearance of email and the ability to “opt out” of many mailing lists, the number of actual pieces of physical mail received at every household as dropped dramatically. This means that when mail is received by hand, each piece is paid more attention than in the past. Going through the mail is no longer an hour-long chore; it has become a pleasurable and quick part of the day, so we tend to pay attention to each letter or flyer we receive. Why not replace direct mail with direct email? For many of the same reasons just explained; email has taken the place of snail mail, so while we once would read every email in our inbox and throw away the majority of our snail mail, their roles have reversed. We now think nothing of deleting everything in our spam folders or anything that even remotely appears to be “junk” email without so much as a glance, but we pour over each individual letter received at our homes, knowing that we are safe from viruses and spyware. There is no harm that comes from opening a letter or reading a flyer. Also, a well-planned direct mail campaign says a lot about a company. It says they are willing to go the extra mile to print these campaign ads or brochures, to target a mailing list, and to actually send out the mailings. We can obtain almost any restaurant menu we want online—complete with directions, reservation forms, and reviews, but we still tend to reach for the physical menus in our kitchen drawer at home when thinking of where to get take-out. Holding a physical piece of mail says that the sender went the extra mile, instead of just sending an impersonal mass email. So if you are considering abandoning your direct mail campaign in favor of something more technologically modern, think again. Unsolicited email invokes fears of computer viruses and spyware. Mass emails are impersonal and take little targeting or thought. Regular physical mail however, poses no threat at all, except for the occasional paper cut, and is often read with more thoughtfulness than the junk email of today. There are no spam folders in the home mailbox, so keep a direct mail campaign in your future business plans.